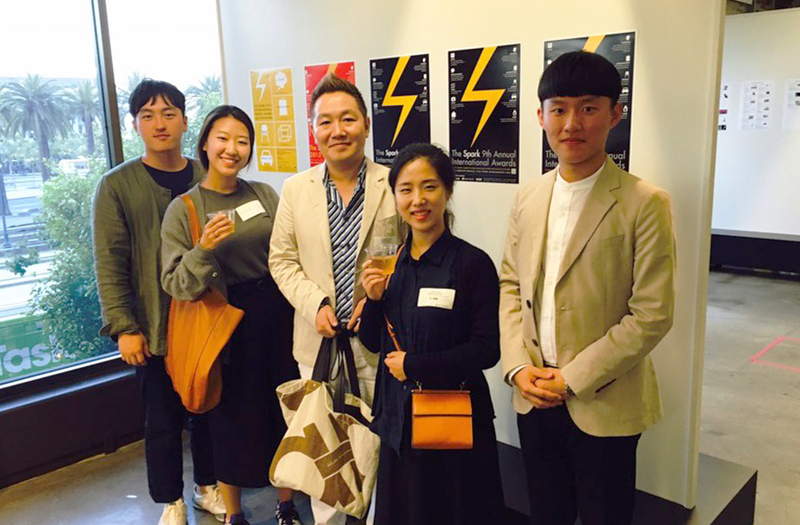 Prof. Yunwoo Jung's Sea-Cat (left) and Tilting Umbrella (right) have been selected as SPARK Award 2016 Finalists. 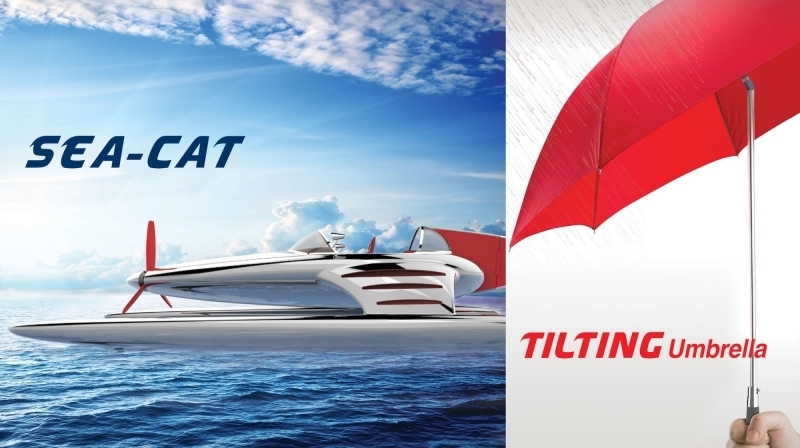 A UNIST design team, led by Prof. Yunwoo Jung (School of Design and Human Engineering) has announced that two of its design concepts, ‘Sea-Cat’ and ‘Tilting Umbrella’ have been selected as finalists in the prestigious 2016 Spark Design Awards in the Spring Concept category. 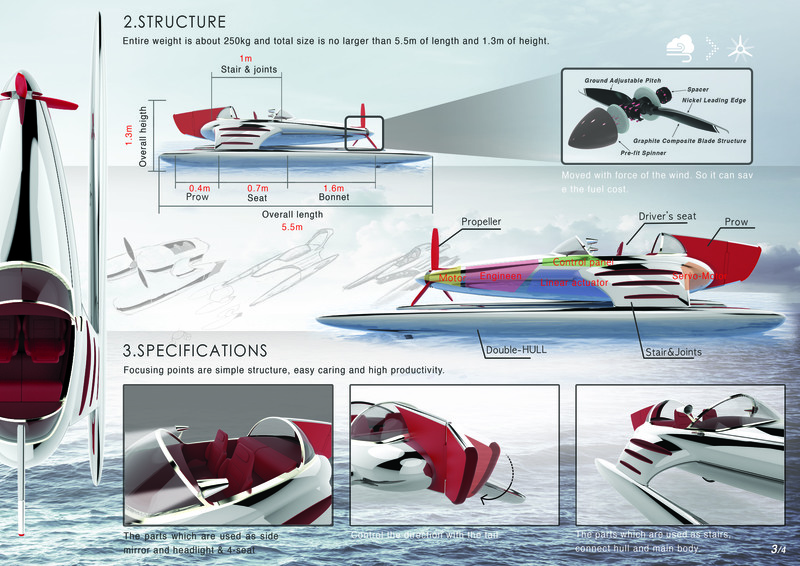 Sea-Cat is new type ocean leisure boat whose propeller works beyond the water and uses wind power. 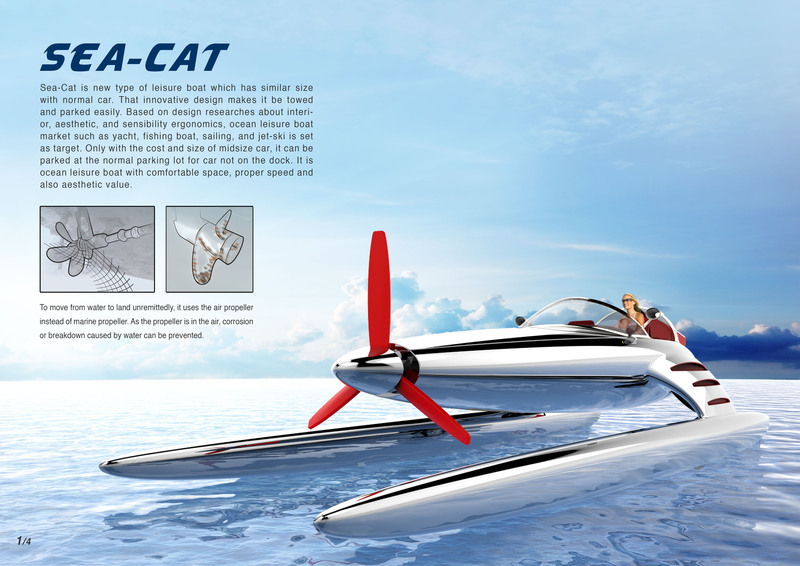 Unlike conventional watercrafts, Sea-Cat is powered by the aircraft-type propellers. As the propeller is in the air, corrosion or breakdown caused by water can be prevented. Sea-Cat is a three-wheeled two-passenger boat and is about the size of a mid-size vehicle. 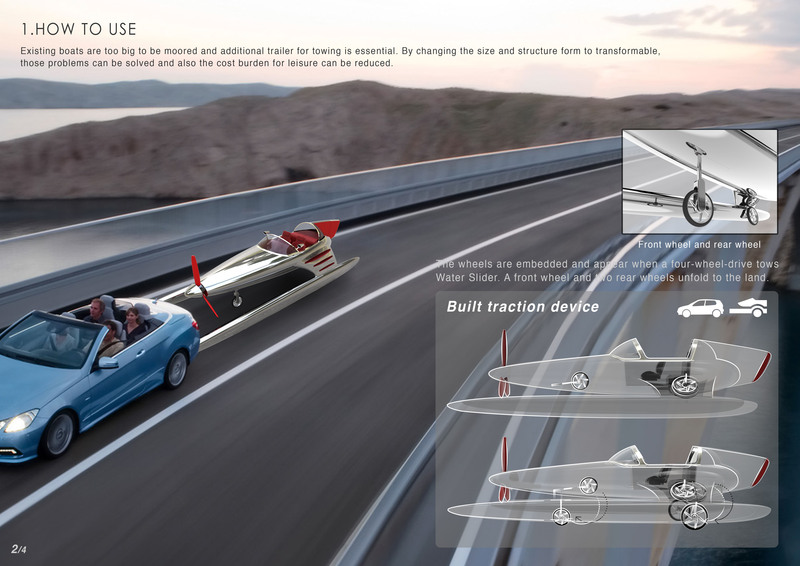 Moreover, the innovative design makes it be towed and parked in a normal parking space easily. This will, therefore, save you the trouble of parking alongside a dock. 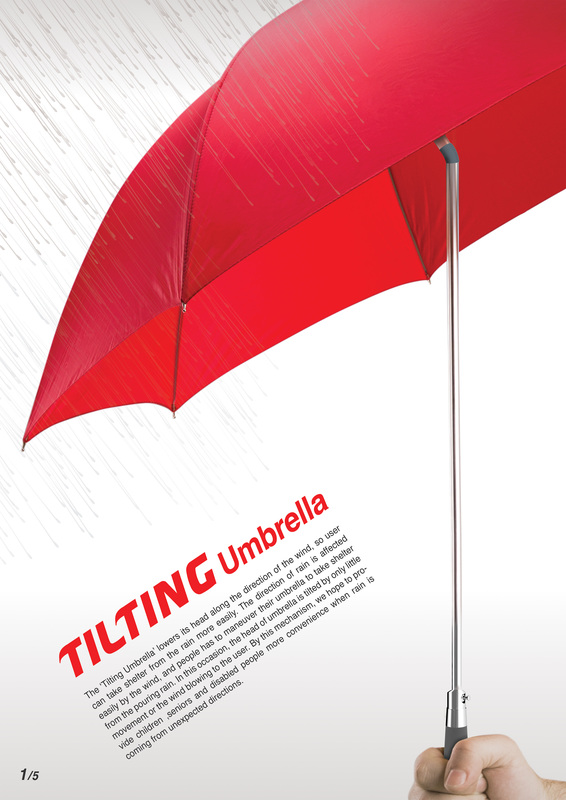 Another big winner of the 2016 Spark Design Awards in the Spring Concept category is the “Tilting Umbrella”, which takes advantage of the tilting head as shelter from the rain that comes from unexpected directions. 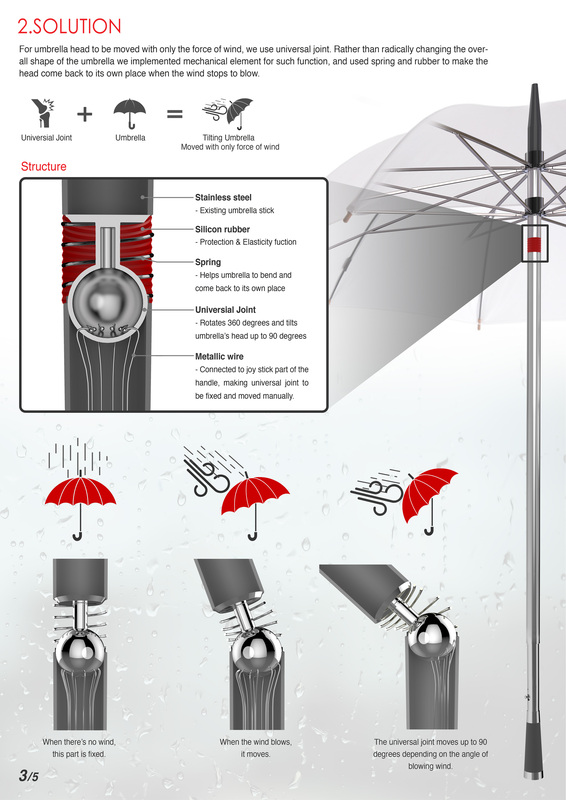 This new type of umbrella uses universal joints, which allows its head to rotate 360 degrees and tilts up to 90 degrees depending on the angle of blowing wind. 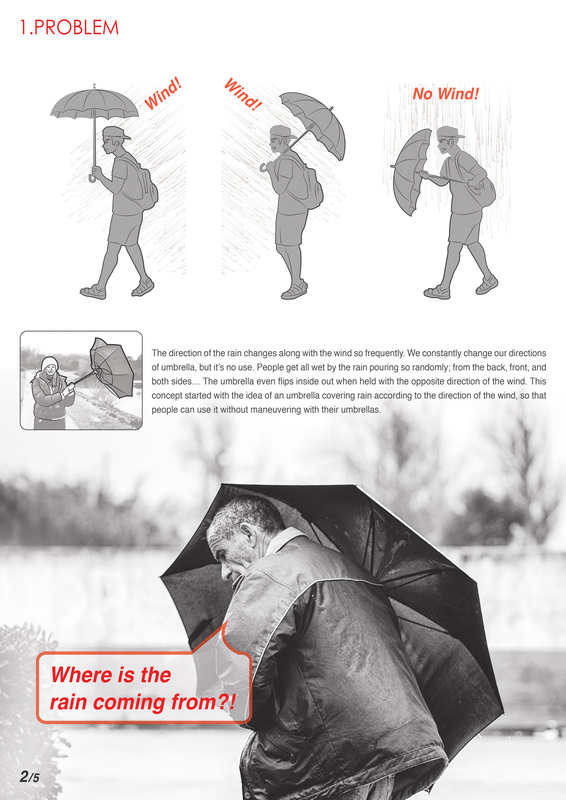 According to Prof. Jung, the direction of rain is affected easily by the wind, and people has to maneuver their umbrella to take shelter from the pouring rain. This promising product can not only move according to the coming wind, but also can be adjusted manually with joy stick park and be locked. The Spark Design Awards are an international design competition series for many design categories, with the core mission of creating a better world though design excellence. 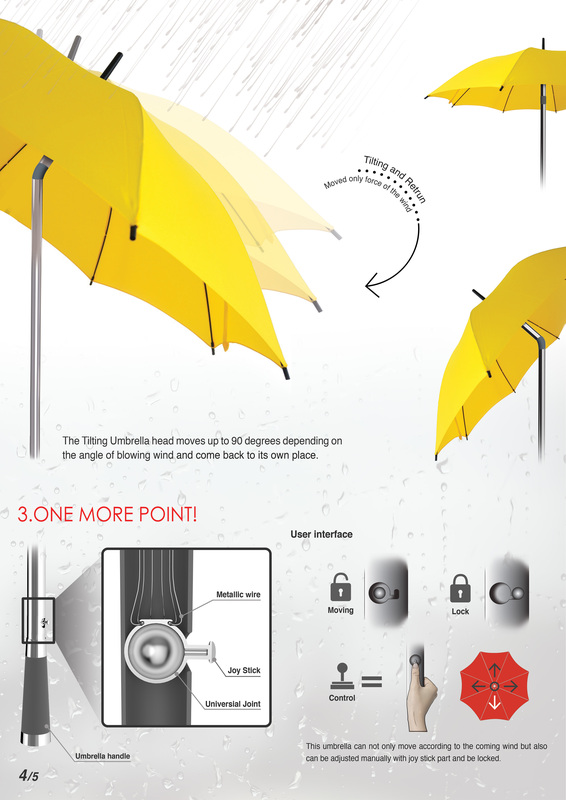 It is considered one of the top 3 design contests, along with IDEA(USA), IF(Germany), and Red dot (Germany). The Spark founders believe Design is an important, relevant tool to help build a better world.